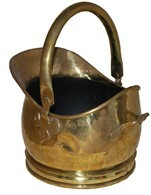 The fireside companion set includes 4 tools and a stand. 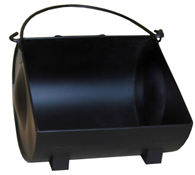 A great accessory for chimeneas, fire bowls log burning stoves and indoors on an open fire. 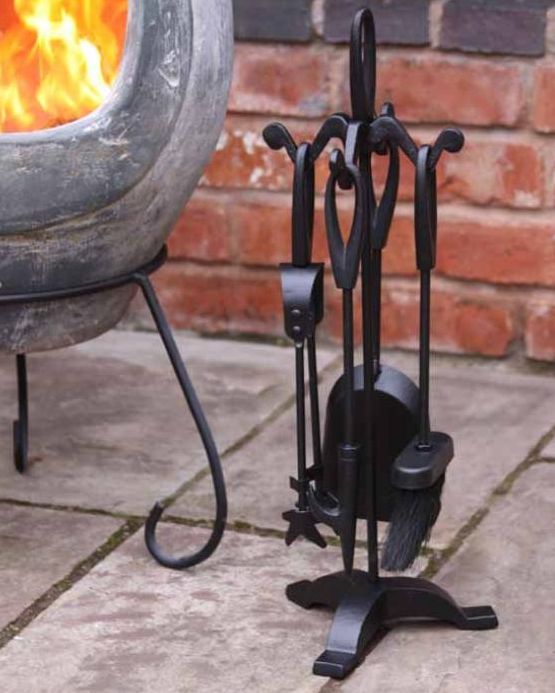 This fireside accessory set includes tongs, brush, shovel and poker and comes on a stylish solid steel stand. The complete set is made from steel which is hard wearing and can withstand very high temperatures. This companion set is a must have to keep any fireplace or fireside clean and tidy without getting burnt. This set is ideal for use all year round both on your barbeques and chimeneas in the summer and your home fireplace in the winter. There are no reviews for Steel Fireplace Companion Tool Set Chimenea Accessories.